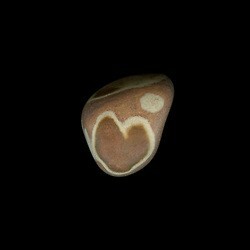 A heart stone is one of nature’s gifts. Heart stones are not rare or precious in the typical sense–a good scour of a beach with any stones at all will usually turn up one or two heart-shaped stones. 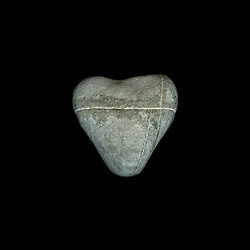 But heart stones, lifted from their obscurity, with all their cracks and blemishes, lopsided and imperfect, are simply the best find on any beach. The heart stone is a lovely vessel. When you take it home and set it on your dresser or windowsill, its presence buoys you up. When you give it to a friend or lover, you give what you have filled it with: strength, love and confidence. It is an intimate gift.